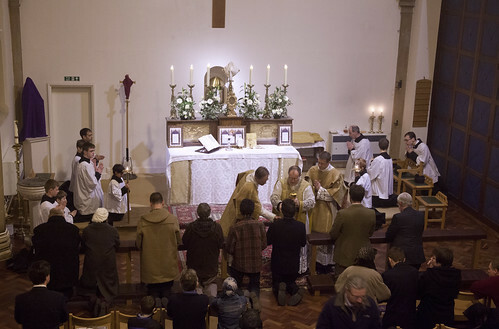 On Maundy Thursday I attended (and sang at) the Mass of Maundy Thursday in Reading celebrated by the FSSP. 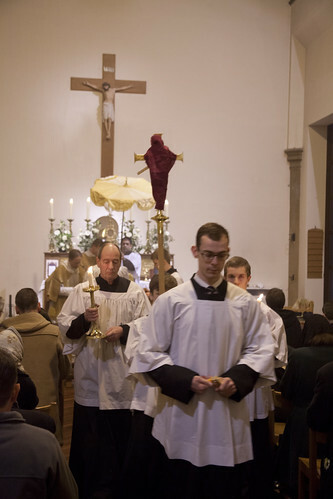 Fr Matthew Goddard was celebrant, Fr Armand de Malleray deacon, and an FSSP seminarian, the Rev James Mawdsley, was subdeacon. 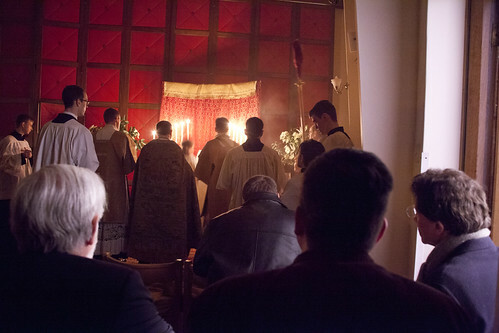 At the end of Mass the Blessed Sacrament is taken to the Altar of Repose, led by the MC with a clapper instead of a bell. 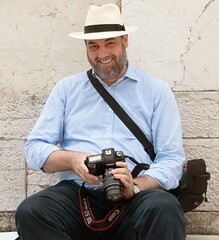 Having rung the bells with great emphasis at the Gloria, they remain silent until the Easter Vigil. 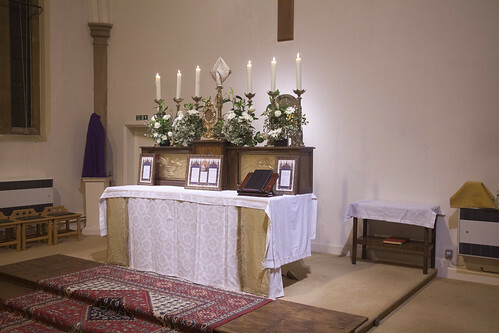 The Blessed Sacrament is accompanied by an 'ombrellino', a ceremonial sun shade (like an umbrella). 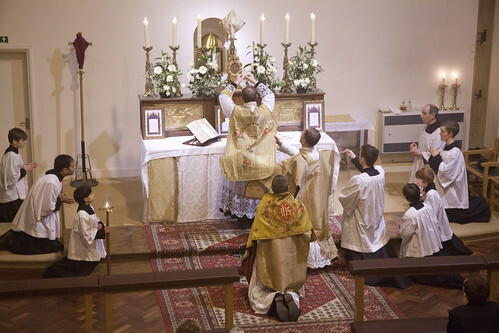 The Altar of Repose is surrounded by flowers and made as splendid as possible. 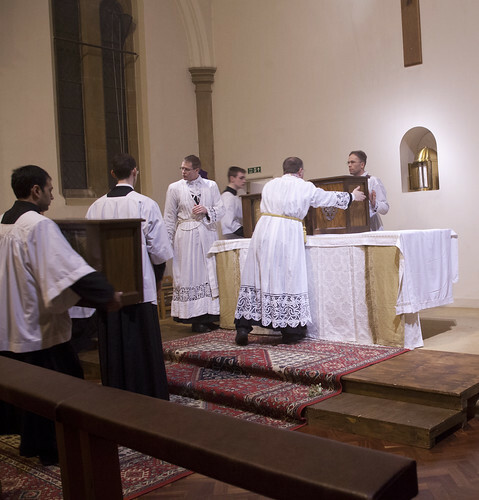 Then takes place the 'Stripping of the Altar'. 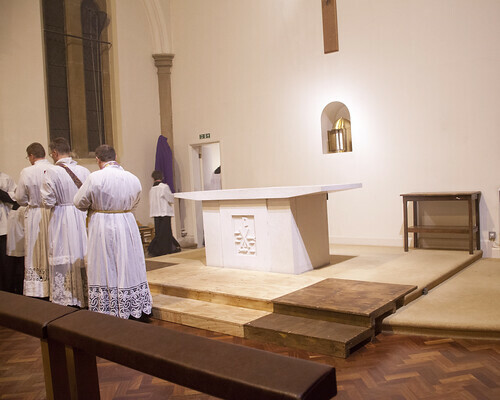 The Altar is stripped in sympathy with the Passion, including stripping, of Our Lord. The Tabernacle is left empty and bare until the Easter Vigil. 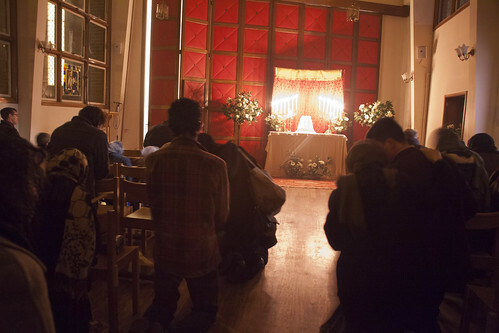 Watching at the Altar of Repose, as Jesus watched and prayed in the Garden of Gethsemane before His Passion.